1963 - A group of concerned citizens in Fayetteville, led by Dr. Wade Burnside, saw a need for services for children with developmental delays or disabilities who were not being served by the public schools. On September 29, 1963, the school - that would eventually become the Elizabeth Richardson Center - opened its doors in the basement of Fayetteville's First United Presbyterian Church with four students in attendance. Mrs. Elizabeth Richardson was the first teacher and she went on to become the first Executive Director of this fledgling Northwest Arkansas non-profit. ​1973 – Due to an ever-increasing need for services, a school in Fayetteville opened on Woodland Avenue with 61 children (ages 2 to 18) being served. Today, this building serves as one of ERC's Child Development Centers where 77 children from six weeks to five years of age attend classes each day. 1987 - A building on Ford Avenue in Springdale opened as a vocational training facility for adults with disabilities. Today, this building is known as the ERC Life Skills Building and it houses classrooms, the leisure activities program and special activities. 1988 - In Springdale, three group homes open to provide adults with disabilities with residential options. Each is home to 10 adult clients and provides 24/7 staffing and medical oversight. These homes were funded by a donation from Bernice Jones and are named in honor of the Jones family, Elizabeth Richardson, and the John O. Norman family who were all very supportive of ERC. ​2001 – The Richardson Industries building was purchased on Old Missouri Road in Springdale for an integrated work training center where contract piece work for local companies is completed by adults and high school students with disabilities. ERC's administrative offices are also located in this facility. 2003 - A home in Springdale is purchased and named for Leon and Virginia Burdick. It has been used by adults participating in ERC's community residential program and its most recent use is as a temporary training facility. 2005 - Five acres adjoining Richardson Industries site are purchased to create a 10 acre campus on Highway 265 in Springdale for present and future expansion of services in Northwest Arkansas. 2006 - A second preschool serving 25 children opens in Springdale. The total number of children and adults receiving services from all ERC programs exceeds 300. 2007 - ERC completes a 5 year Strategic Plan. A 1.3 acre site was purchased in 2007 in Siloam Springs to build a new Child Development Center. 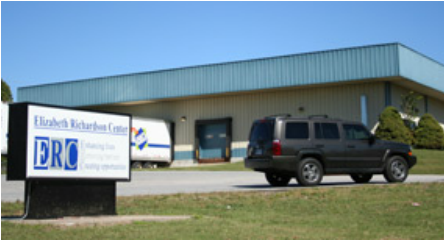 ​2015 - In order to serve more families, the Springdale Child Development Center moved to a larger location at 2871 American Street. This location offers the children more classroom and therapy space along with an expanded outdoor play area. ​2012 - The newest Child Development Center opened in Huntsville making ERC the only disability services provider serving Madison County. The Huntsville CDC can serve up to 30 children from six weeks to five years of age.